Not only is Canada a great place to enjoy some top-notch sailing, but it is also a place where one can learn how to sail. There are several sailing schools to choose from that are found in various provinces throughout the country. For those that are new to sailing, they may not realize there are different versions of this water sport. There is dingy sailing as well as keelboat sailing. The first step before even choosing a sailing school is to determine which of these one wants to learn about. Some schools offer training in both. Sail Canada: In Ontario, this is the curriculum that is the most commonly used for teaching sailing. It is recognized on an international level. 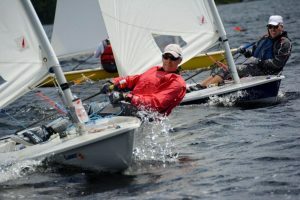 American Sailing Association: Us Sailing: These are both organizations from the US that also provide a sailing curriculum that is used in some of the sailing schools in Ontario. Royal Yachting Association: Schools that are using this program are using the one that is equivalent to that which is taught in the United Kingdom. International Yacht Training: This is a program that has been developed in British Columbia. NauticEd: For those who want to gain part of their sailing online, there is an opportunity to do this. The practical segment of sailing can be learned in this fashion. Any province that is recognized for its sailing opportunities will usually have some sailing schools or training centers where clubs can utilize what they have to offer. Many of these schools have access to some great waterways that offer some exceptional sailing challenges. Which is perfect for those who are in training. When choosing a sailing school, it is wise to determine which program they are offering and if it suits your needs. For less formal training some of the local clubs may offer short programs and training. At the very least it is important that everyone learns the safety rules of sailing. There may be some opportunities to take some programs for this online.